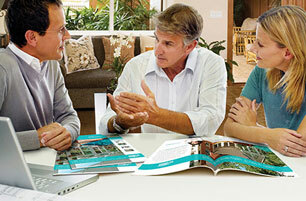 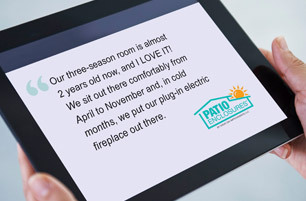 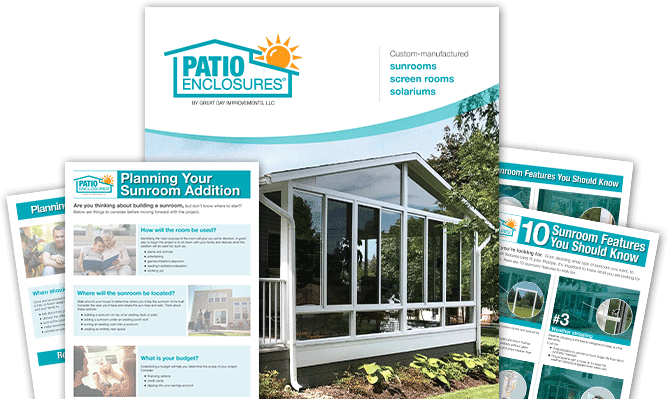 ​Made with the same quality and craftsmanship as our professionally installed Patio Enclosures® sunrooms, EasyRoom Sunroom Kits are a great choice for experienced do-it-yourselfers. 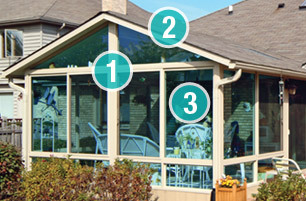 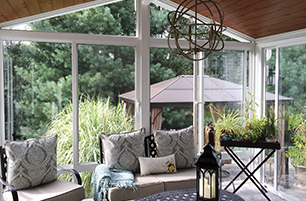 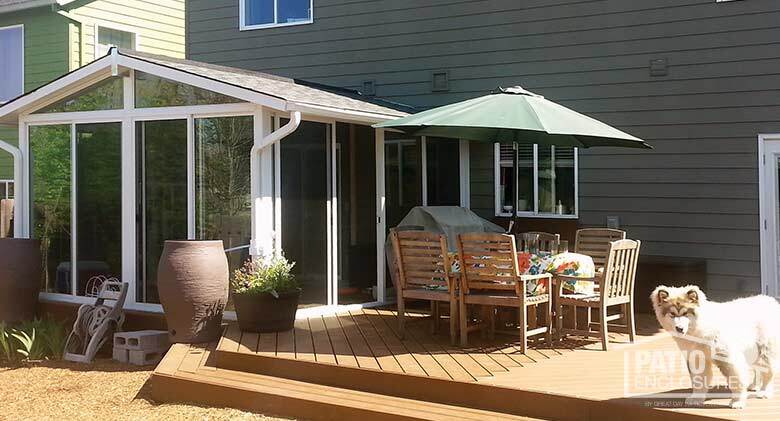 Unlike many temporary sunrooms, EasyRoom Sunroom Kits are designed and manufactured to be permanent additions to your home and meet or exceed local and national building codes. 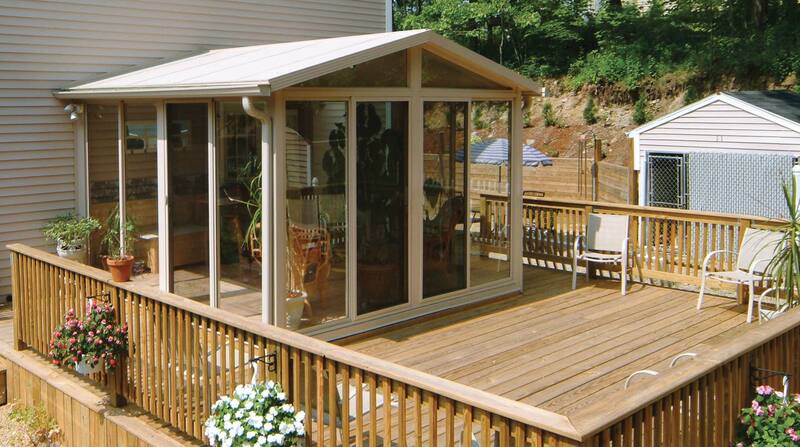 Sunroom Kits EasyRoom sunroom kit in sandstone with gable roof and glass wings. 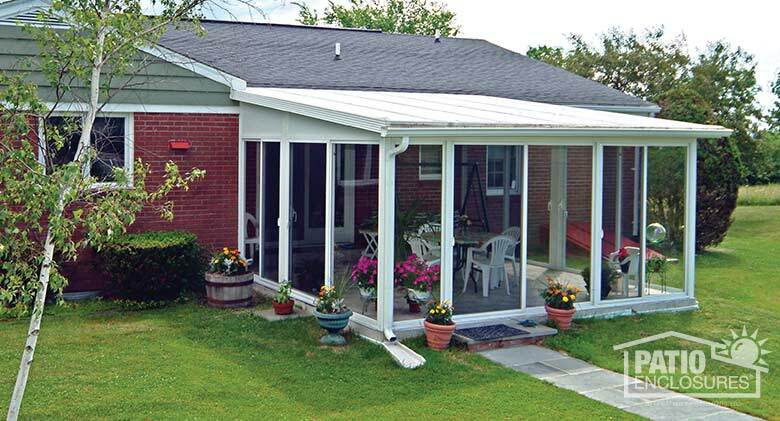 Sunroom Kits EasyRoom sunroom kit in white with a single-slope roof and solid wings. 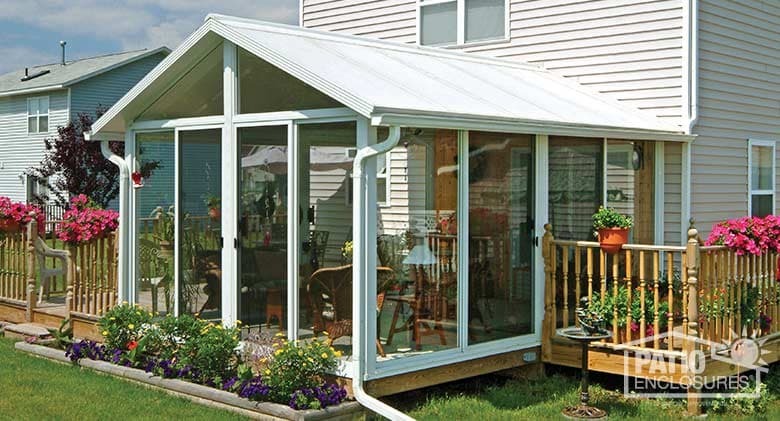 Sunroom Kits EasyRoom kit in white with a gable roof and glass wings. 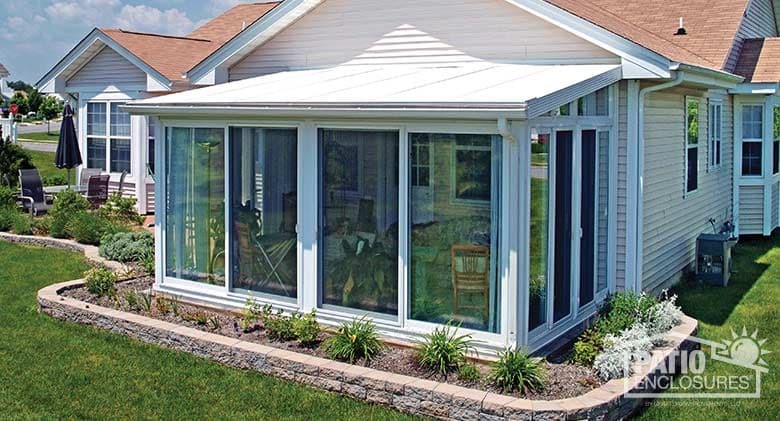 Sunroom Kits EasyRoom kit in white with a single-slope roof and glass wings. 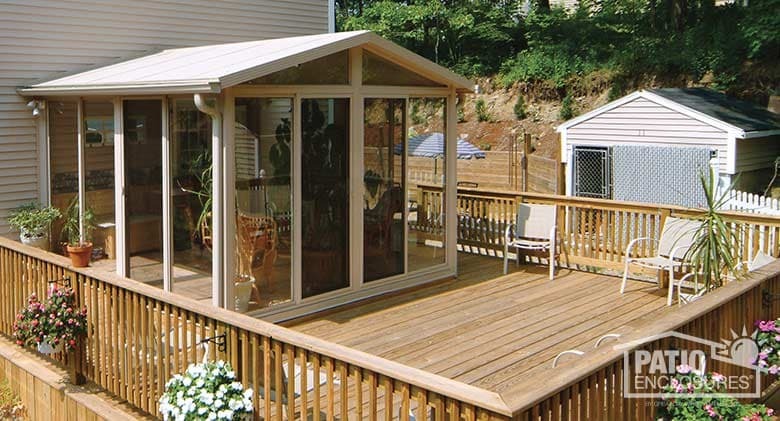 Sunroom Kits EasyRoom kit in white with a shingled, gable roof and glass wings.